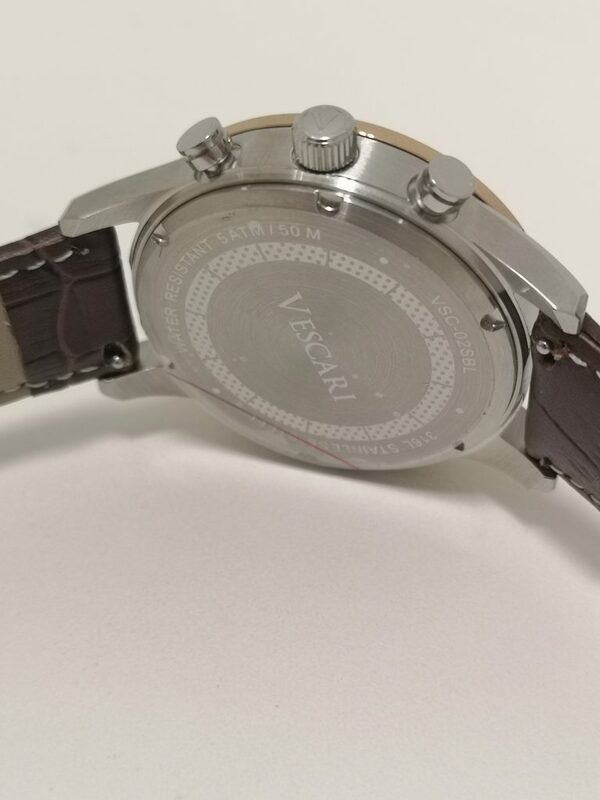 The brand Vescari was founded by Jeroen Vrinzen and is based out of Netherlands. 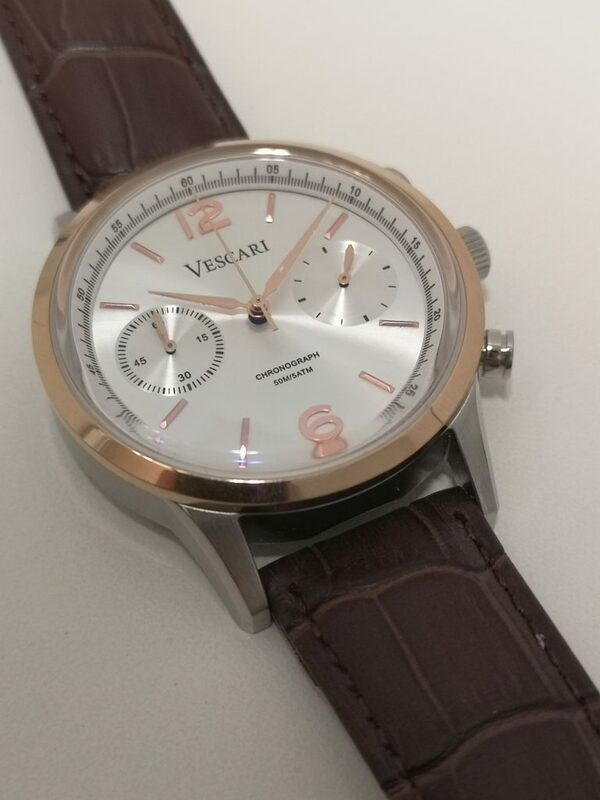 Vescari launched their first model “Heritage Chronograph” on Kickstarter back in October 2016 and successfully raised €17,882 with 89 backers. 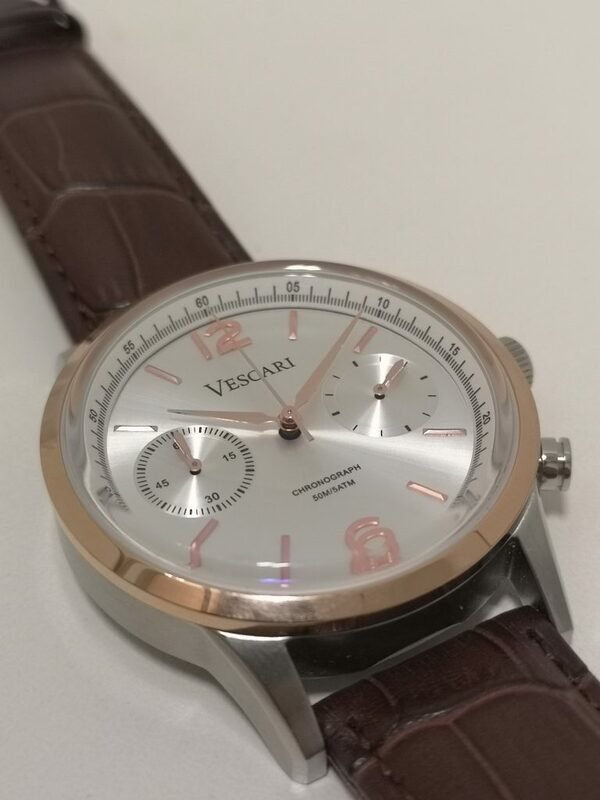 Vescari is set to unveil another chronograph collection and this second model “The Chestor” is an adoption to the branding design code and DNA. The Case : Comes in 40mm size and to me, it’s not too big nor too small on my 6.5″ wrist. 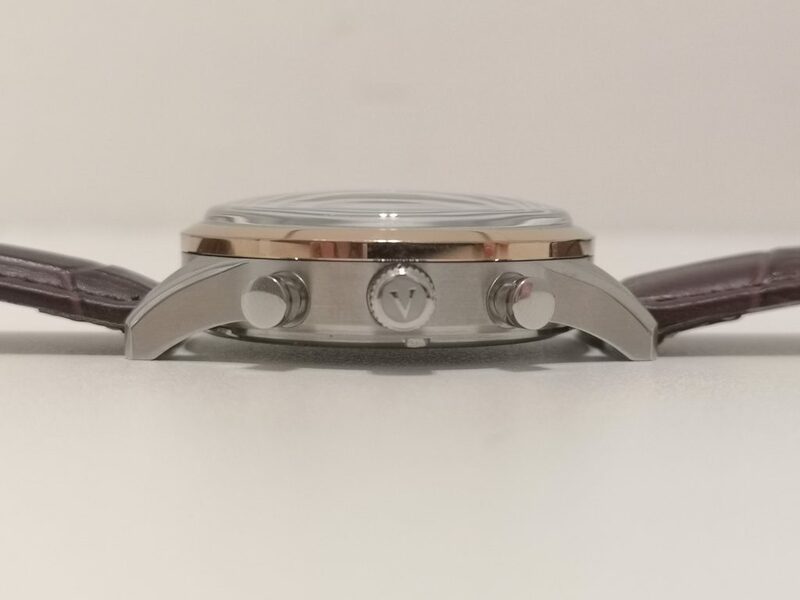 Wouldn’t say it’s the perfect size because every 40mm watch is different in terms of the shape, thickness and design. 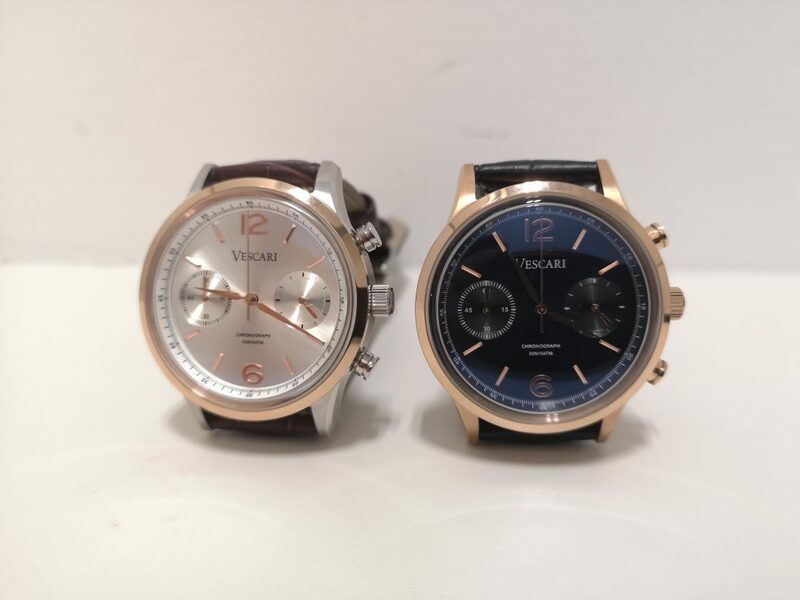 I love how the contrast combination colour between rose gold bezel and silver stainless steel case and full rose gold case with sunburst black dial where it’s not too flashy nor too dull when looking at it. 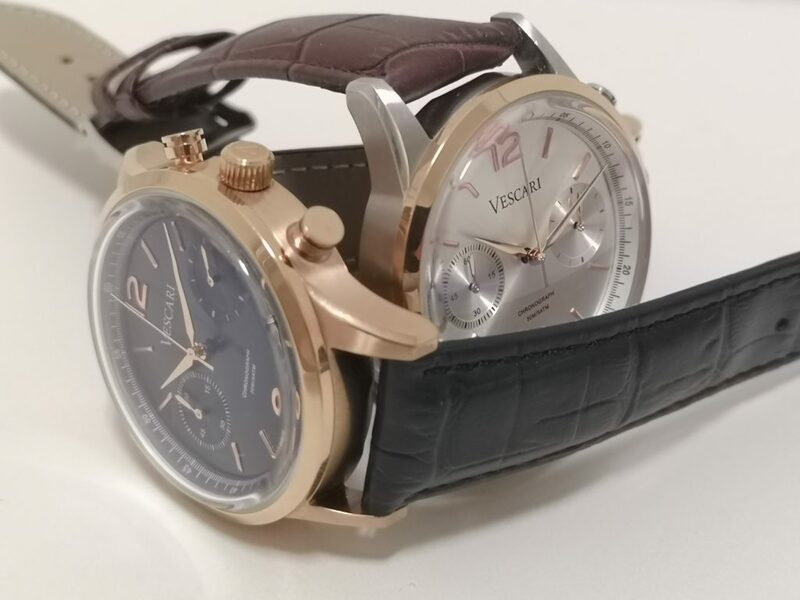 The Dial : From the 2 versions that was loaned to me, my favourite is the sunray silver because of its’ combination colour between the dial and the case. 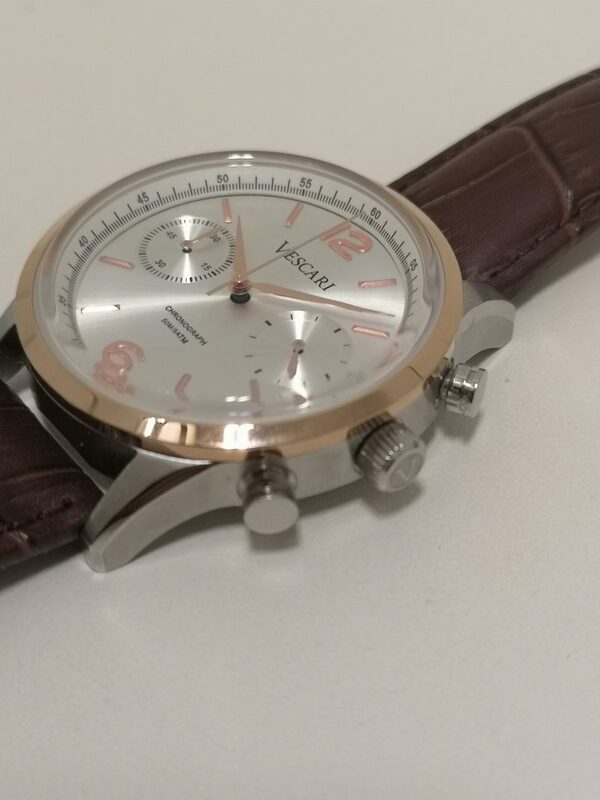 Having the dial background in sunray silver, rose gold indexes and on all hands (second, minute, hour), matches cleanly with the stainless steel case and rose gold bezel. 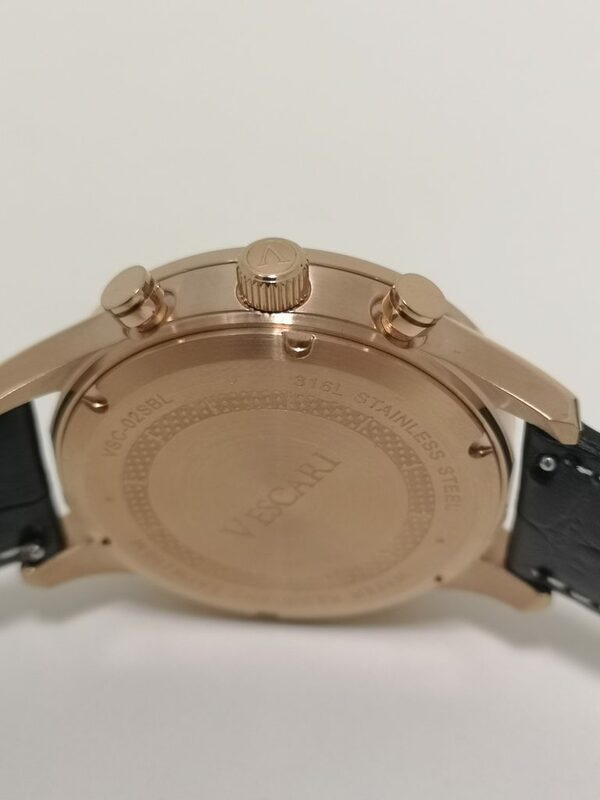 The other version of the full rose gold case is more bold with the sunray black dial and having the same combination colours on the indexes and hands. 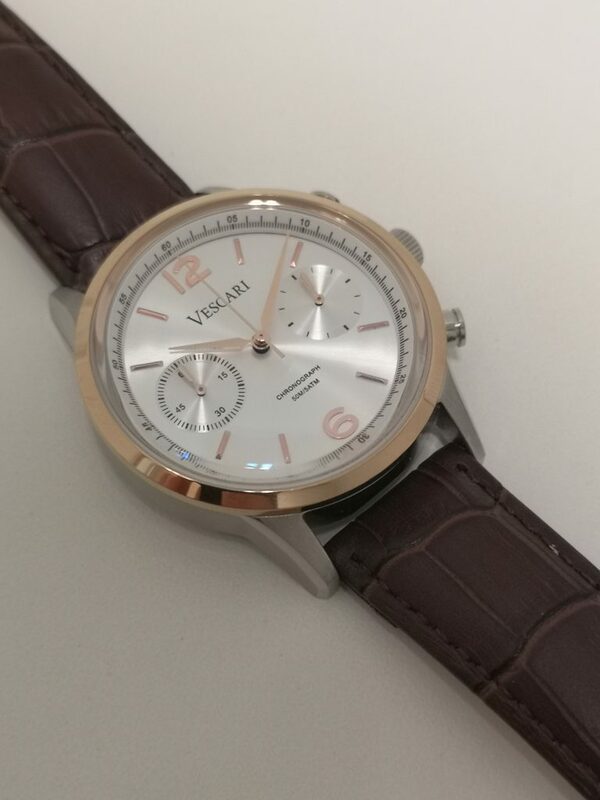 I also like the sunburst effect on each of the subdial which brings out somewhat a dual tone design onto the dial. 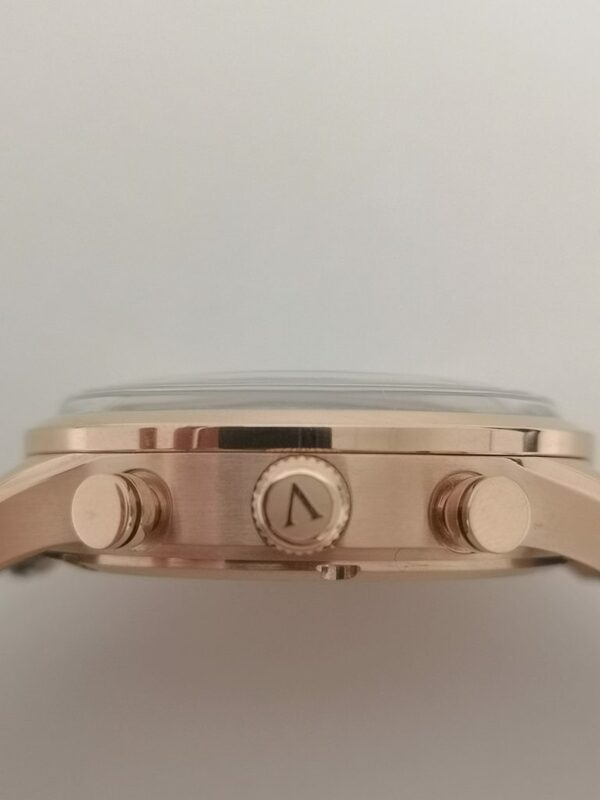 Surrounding the dial there is a 45° angled 60 seconds marking on the “one-fifth of the second” marking which offers a much accurate timing on the watch. 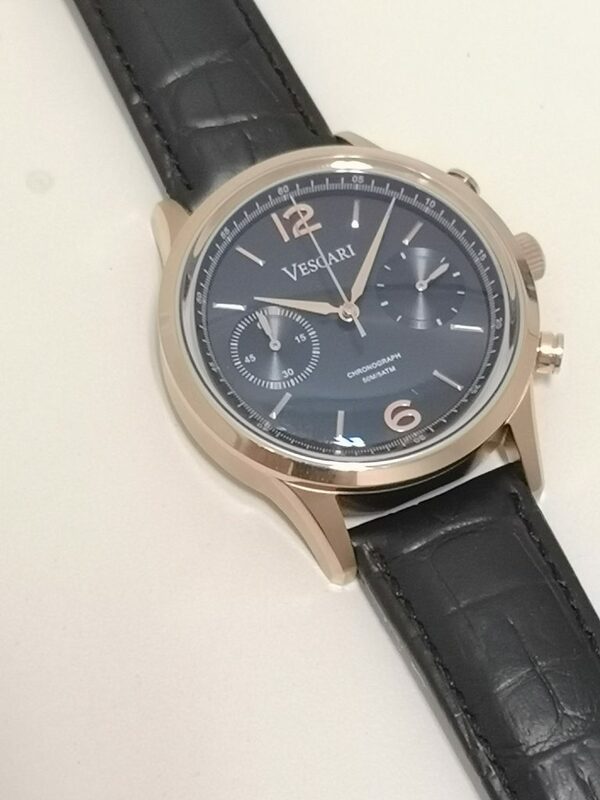 The Strap : I like the strap options being offered here, a 20mm crocodile grain leather strap. It’s just nice and feels smooth on the wrist. 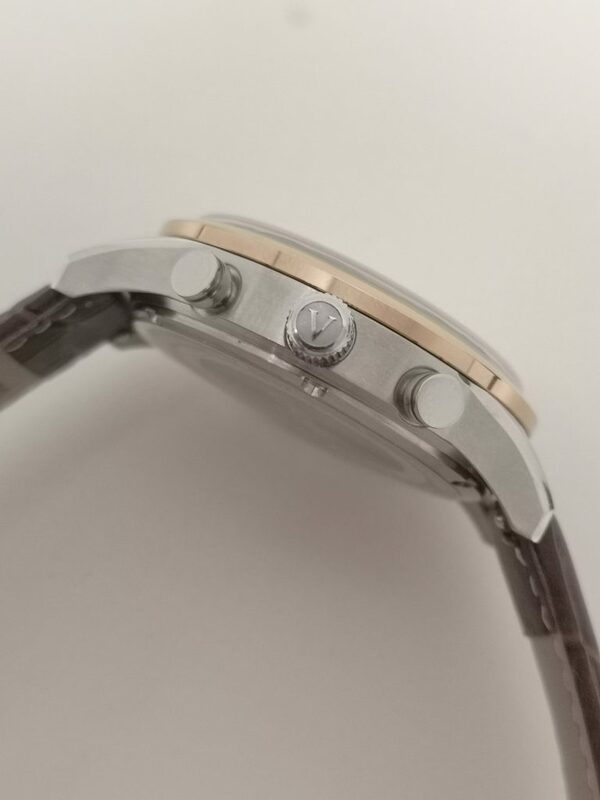 Was told that there will be options for stainless steel bracelet as well. The Glass : A special mention here about the glass. It’s a domed mineral crystal that really stands out for me. It gives a different look on the watch which I really like a lot. The Movement : The watch houses the Miyota 6s21 movement. 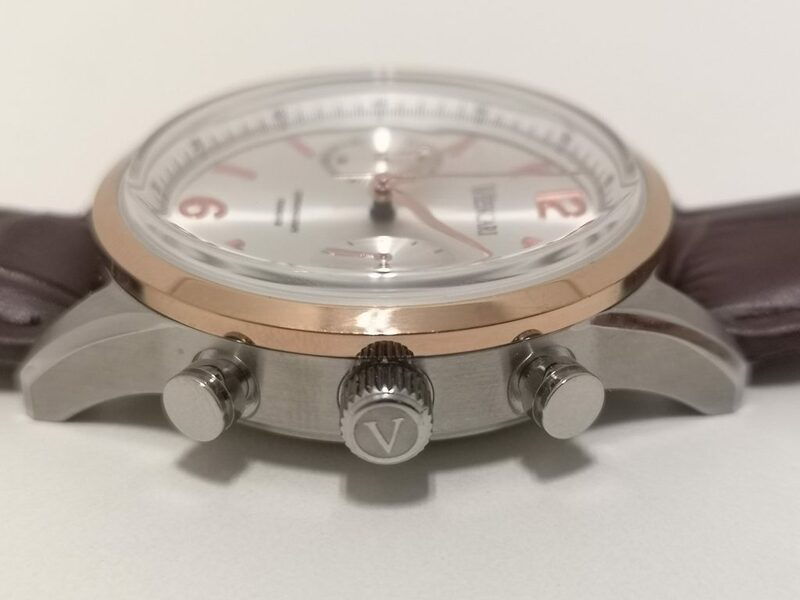 This movement combines the accuracy and reliability of a quartz movement with a 1/5 second sweep of the chronograph that is normally found in a mechanical watch. 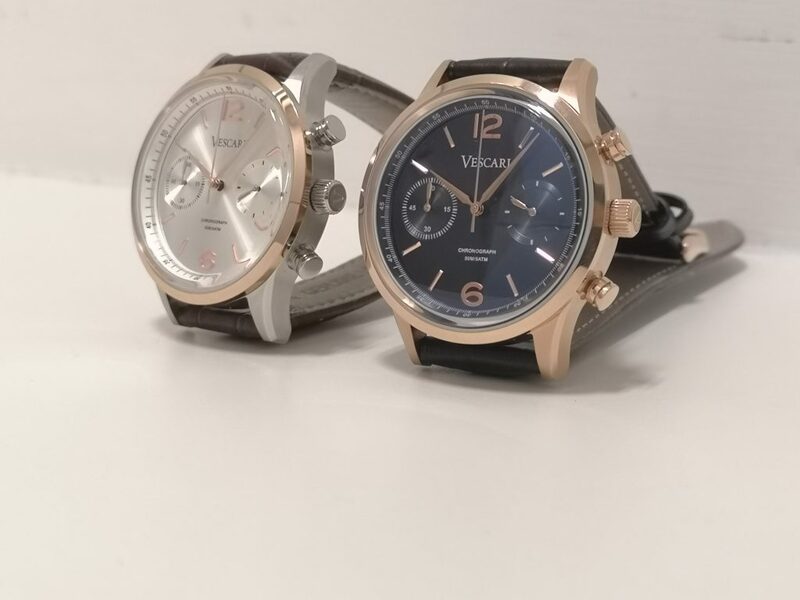 Overall, it’s a decent chronograph dress watch which would fit nicely under any cuff shirt and would look professional enough to be worn for any formal event. I would say the price point would be attractive as well if you were to pledge on Kickstarter. 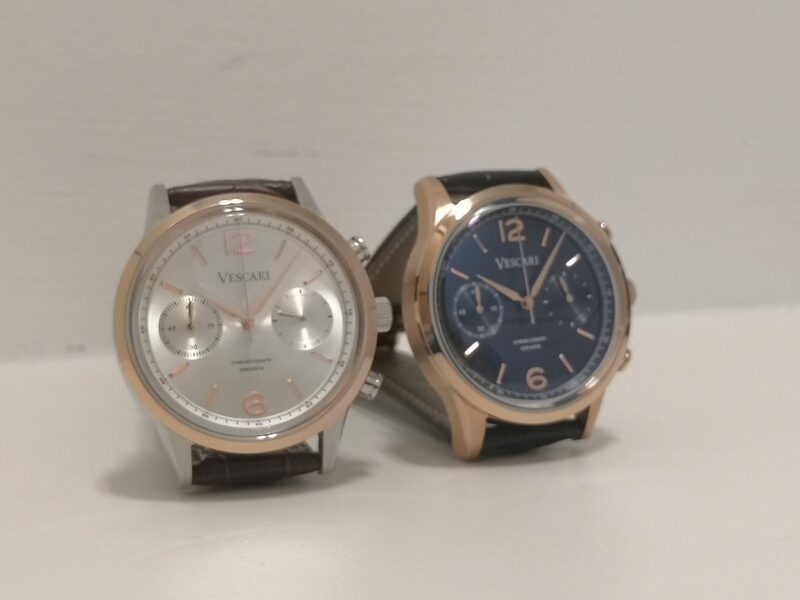 Out of the 2, my favourite is definitely the sunray silver dial on the stainless steel case and I think this is worth to be considered for anyone looking for a chronograph dress watch. The Chestor will be available for pre-order on Kickstarter (scheduled on 28th March) with early bird prices starting from 119,- euro. Extra straps will only cost 15,- euro including stainless steel bracelet. 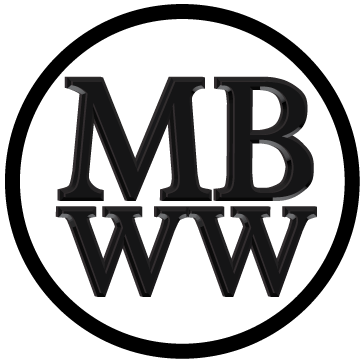 Note : All MBWW backers can receive an additional strap for free by using the code “mbwwpromo” in the backer survey after the campaign.